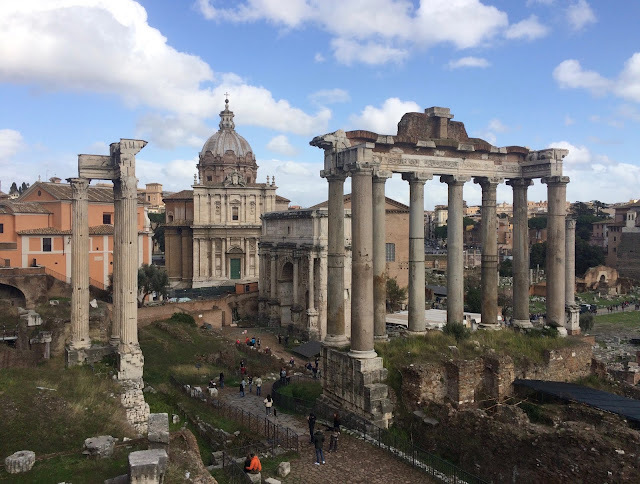 While Boston, Cape Cod, and New York hunker down for their third Nor’Easter in as many weeks, here in Rome after our brief and beautiful snowfall, spring is in the air. I decided to do some digital spring cleaning and wiped twelve months of images off my laptop hard drive, safely storing them away in the cloud and on an external drive making space for this year's travel adventures. 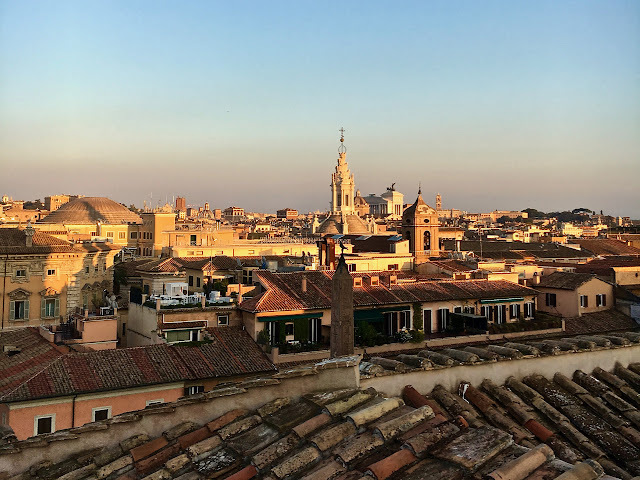 Weeks in wintery Venice, lazy beach lunches, island vacations, my daily walk to my yoga studio here in Rome, all swept away like when I fold and stack my winter sweaters in neat rows into clear Container store bins. 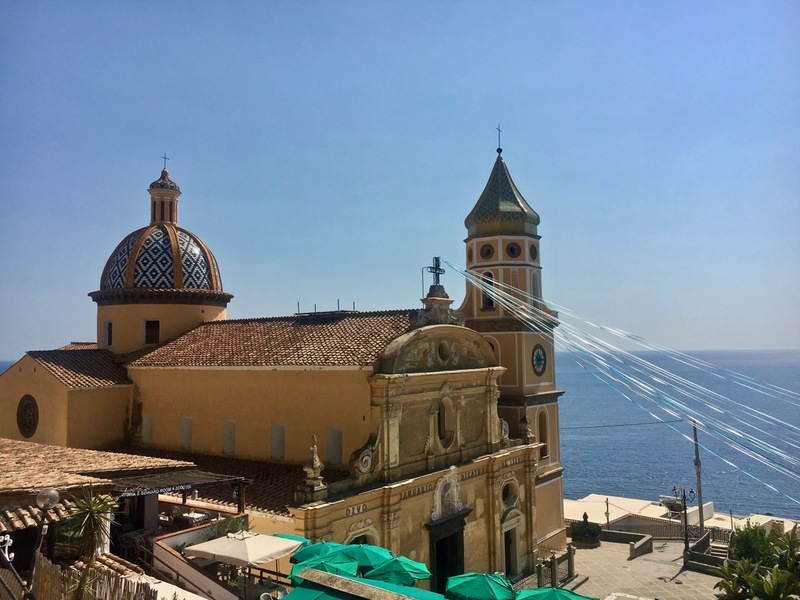 One place I realized I had forgotten to tell you about here on the blog was trip I took to Praiano last August. This trip was all about doing as little as possible. 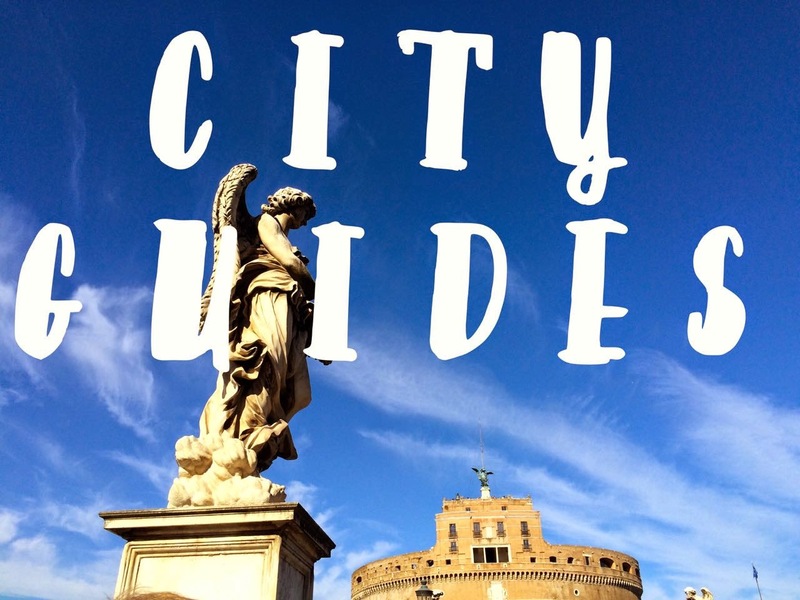 I highly recommend you do the same and cut out about half of your vacation must-do list. 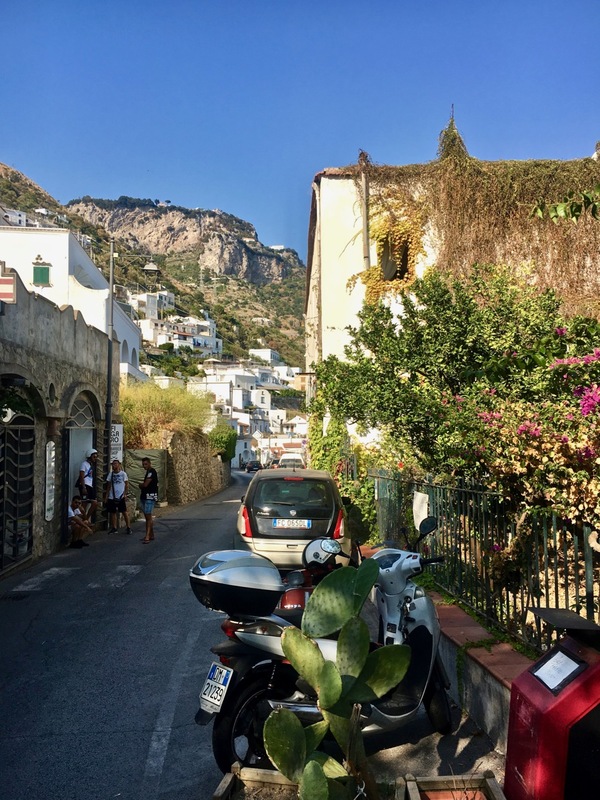 Follow my lead for a very relaxing time on the Amalfi Coast. Here is my guide to how to do nothing on the Amalfi Coast. More specifically, rent a villa in the town of Praiano. 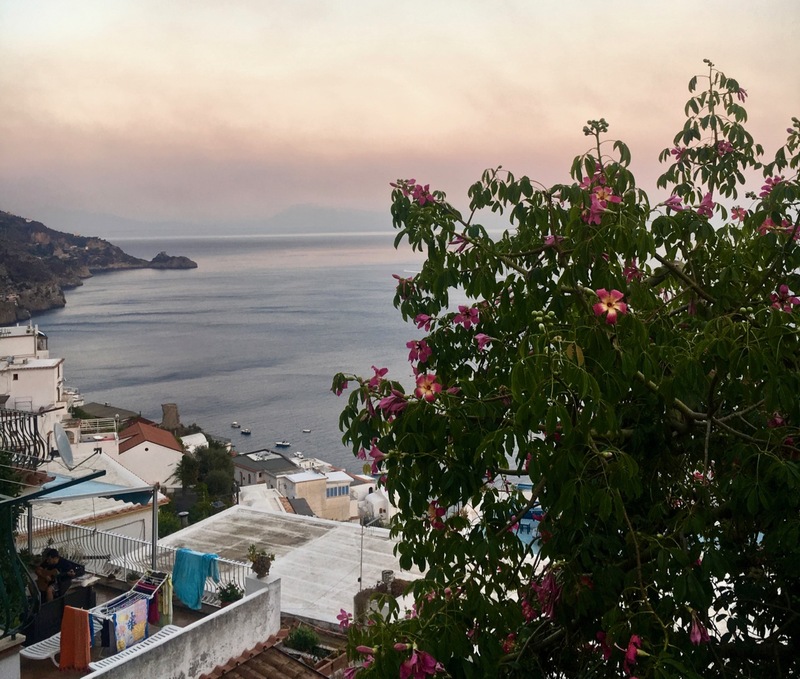 I advise this particular villa whereupon my arrival on a hot summer evening we were greeted by the owners with paper bags filled with fresh taralli to snack on while we watched the sunset and the kids splashed in the pool. Casa Maria Giovanna has enough space that you don’t feel like you are all on top of each other, the air conditioning and wifi are both strong and there is lovely outside space with sea views. We took naps, watched Netflix, cooked dinner, and lounged on sunbeds with glasses of wine. 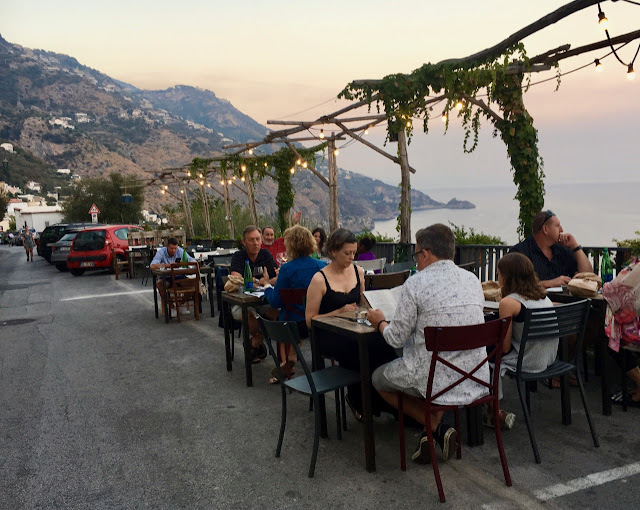 Praiano is less than ten kilometers away from Positano but has a completely different vibe. It is much less crowded and while just as vertical as Positano, is it more spread out. 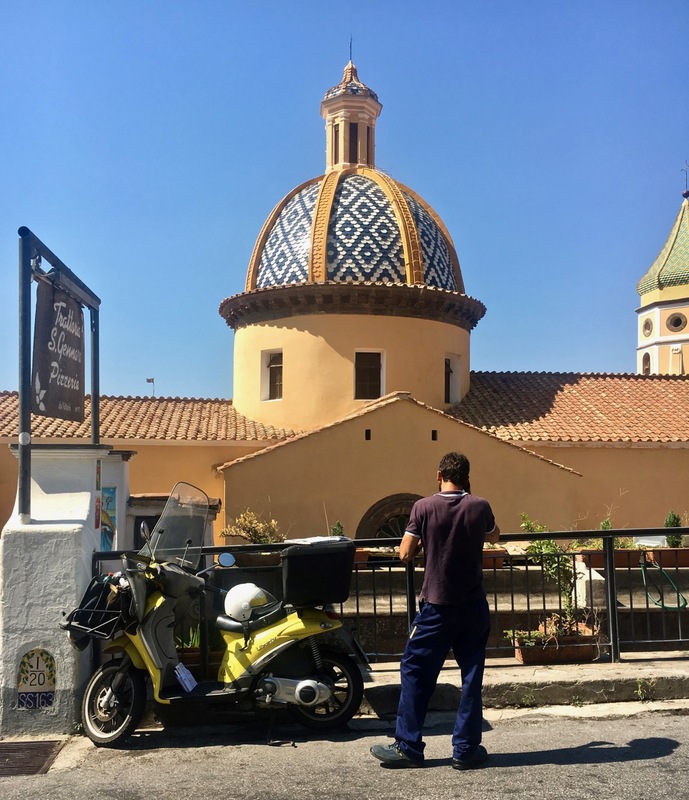 There are a handful of restaurants, cafes and shops dotted along the Amalfi Coast road. 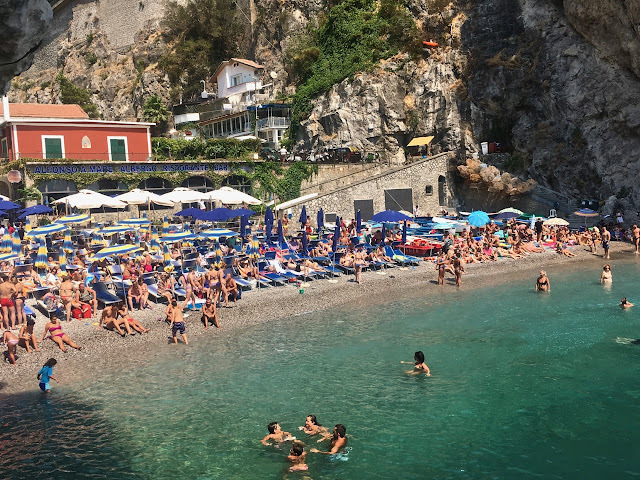 You have two beaches to choose from; Gavitella which has the only sunset view on the Amalfi Coast and a very lively beach club and Marina di Praia that has a wedge of pebble beach and rows of rentable beach chairs. 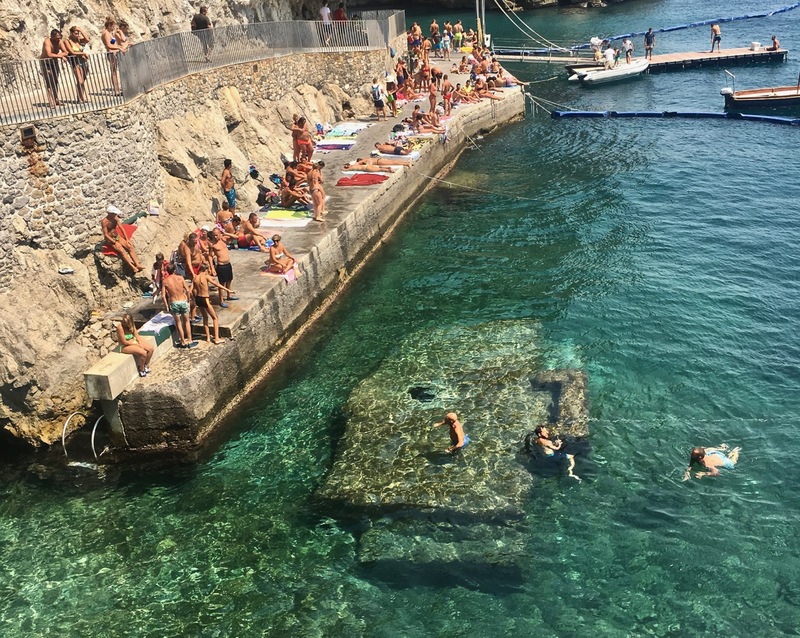 There is also a free section that is a slab of concrete where you can stake out a spot with your towel and then dive into the cool emerald water. One of the best parts of renting a villa is having a kitchen. 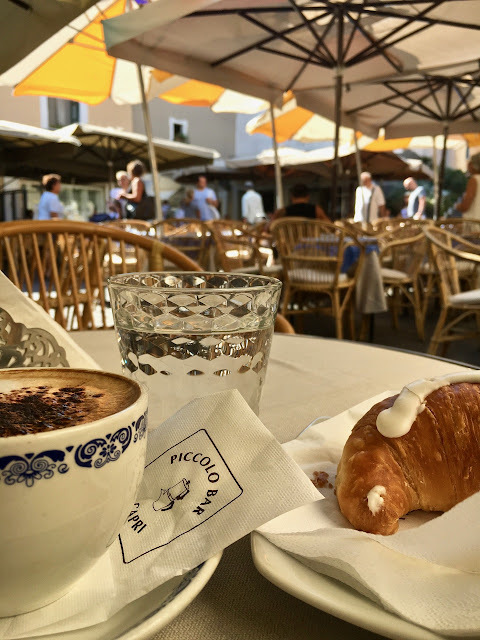 Mornings can be slow to start with Moka pots brewing coffee on the stove and bags of Mullino Bianco Abraccio cookies in place of bowls of cereal. You can make your own fresh mozzarella and tomato salads and dinner can be at whatever time you wish if the coastal Italian tradition of sitting down to dinner at 10pm is not your thing. 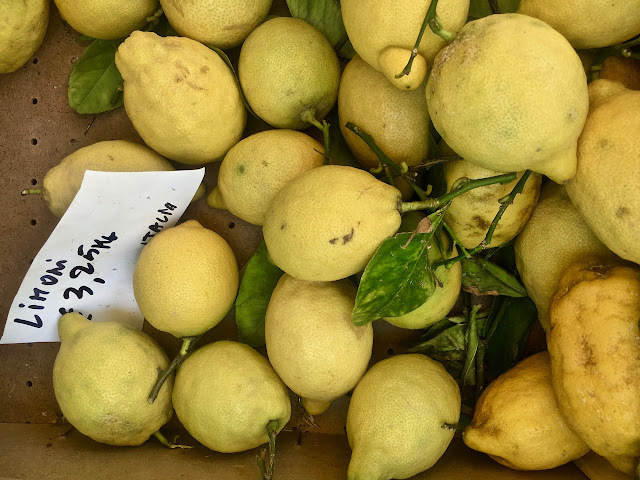 Praiano has a fish and vegetable market near the San Gennaro church and for one-stop shopping, the delightful, Tutto per Tutti really does have everything you need. 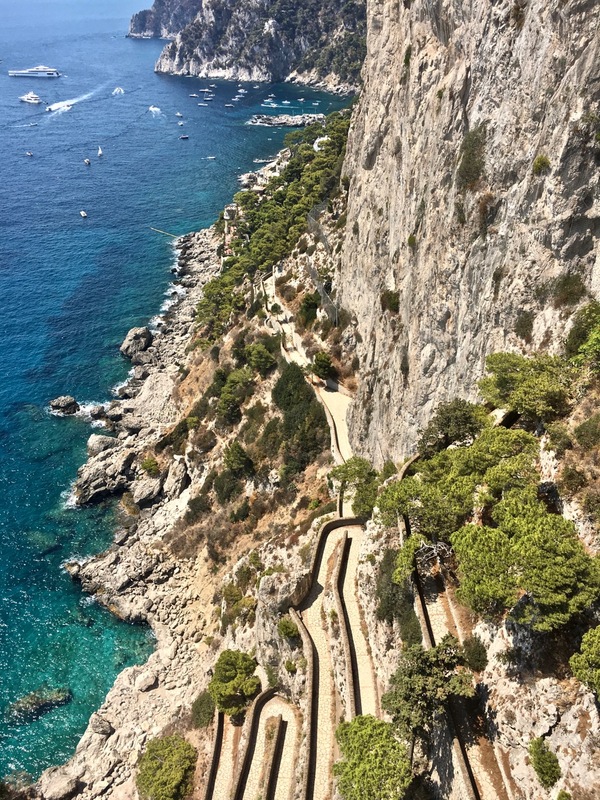 My pals were visiting from the states and had planned day trips to Capri and Naples. 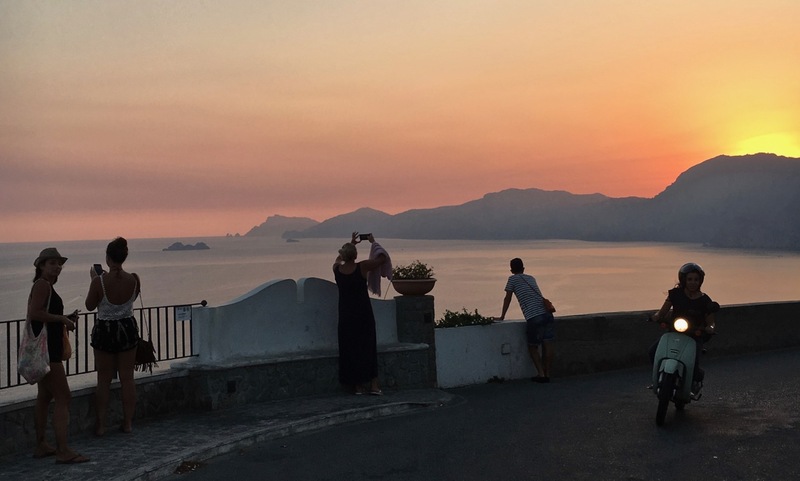 In Capri, I showed them my favorite spot in the Piazzetta for morning coffee and we took a long walk with stops at the Augustus Gardens and at some of the island's boutiques much to the pleasure of my pals teenagers that were growing weary of the adults. Of course, we had lunch with Holly and Gianluca at Michel’Angelo. 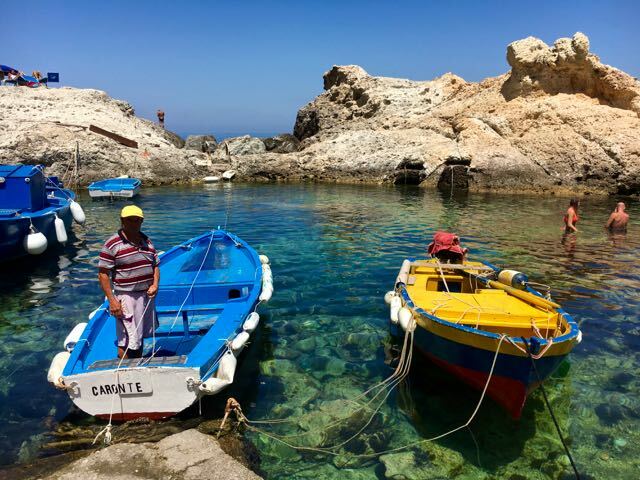 Lunch is really an understatement, hours-long fresh seafood feast with pizza and three different kinds of mozzarella and wine is a more accurate description. We took a late afternoon ferry to Positano, elbowed our way onto the bus to back to Praiano. Pro-tip, there is a route that only operates between Positano and Praiano. It is slightly less crowded and chaotic than the regular SITA bus that stops all along the coast. I stayed behind at the villa one day while my pals spent the day in Naples eating their way through the city. 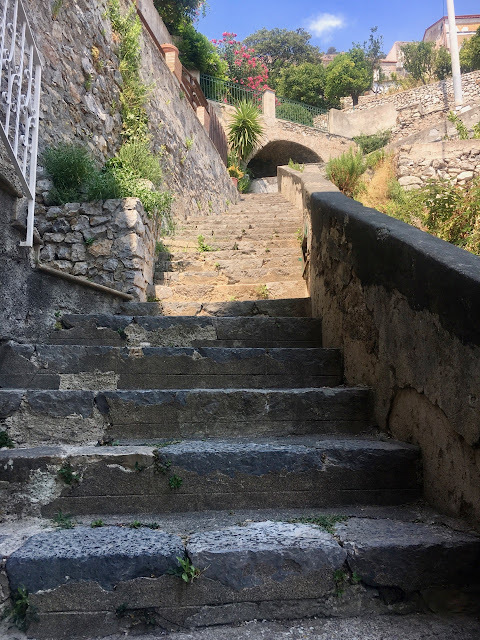 The nearest beach to the villa is down what can feel like an endless set of steps in Marina di Praia, particularly when two of us were nursing knee injuries. 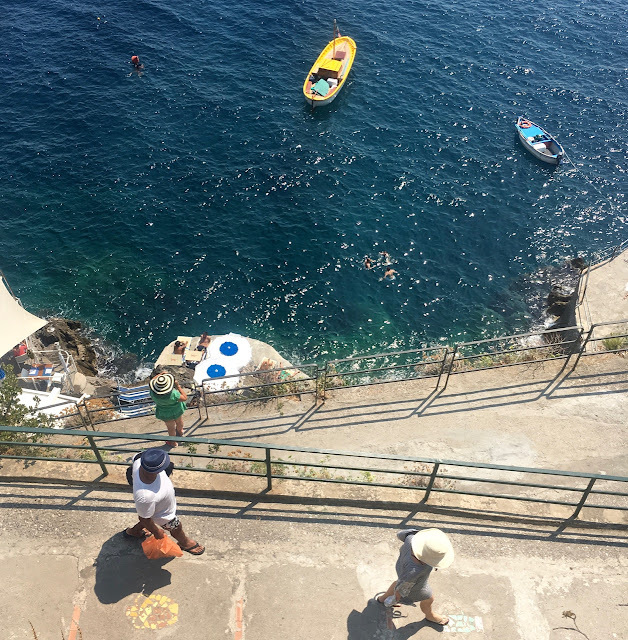 The colorful ceramics that line the retaining walls and the views make the trek worth the effort. There is a bus that makes the rounds from the top of town down to close to the beach, but we couldn’t be bothered to figure out the schedule. We decided on the free beach and spent the afternoon like the Italian mamas, waist deep in the clear turquoise water balancing on a submerged rock while the kids took turns diving into the deep section. 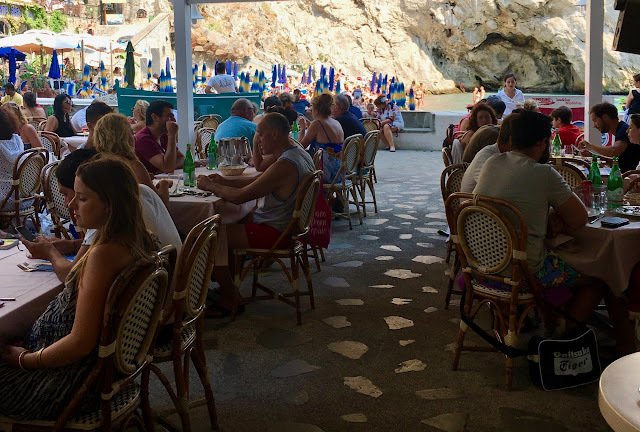 In those hot and quiet middle hours between lunch and aperitvo, there is virtually nothing open in Praiano. 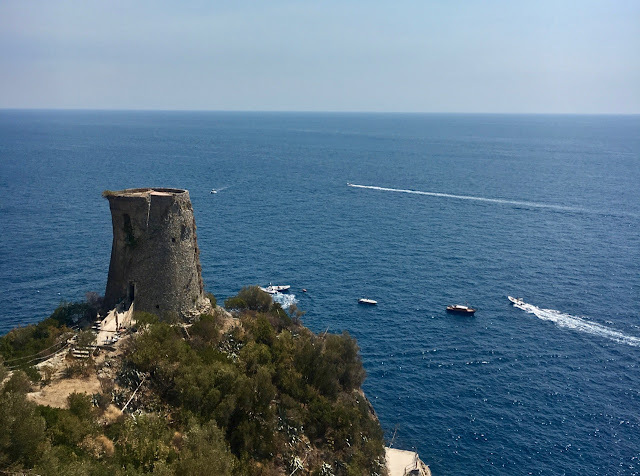 We needed something cold to fuel our walk home and stopped in at the reception desk of the Hotel Smeraldo to ask for a recommendation and they whisked us to a table on the terrace with an endless view towards Positano and Capri. 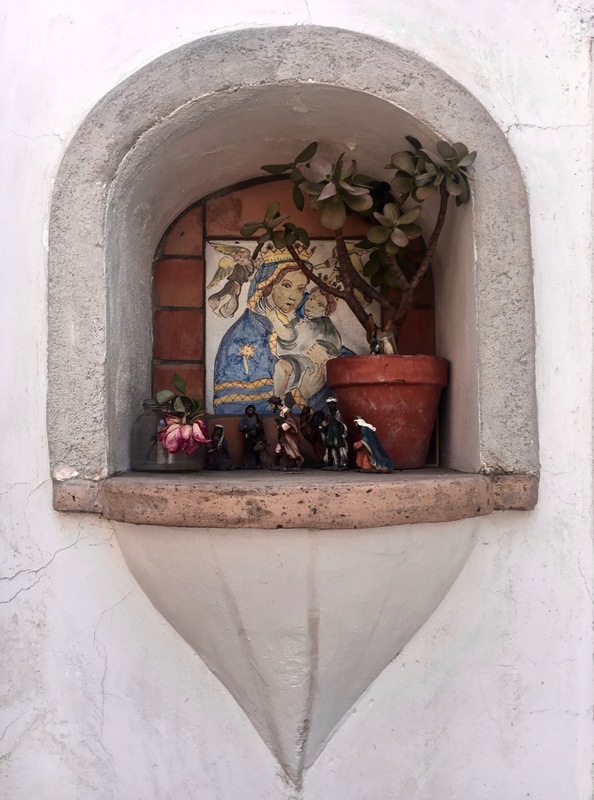 We sat surrounded by cool blue tiles and white wrought iron that give way to a birds-eye view of the sea. 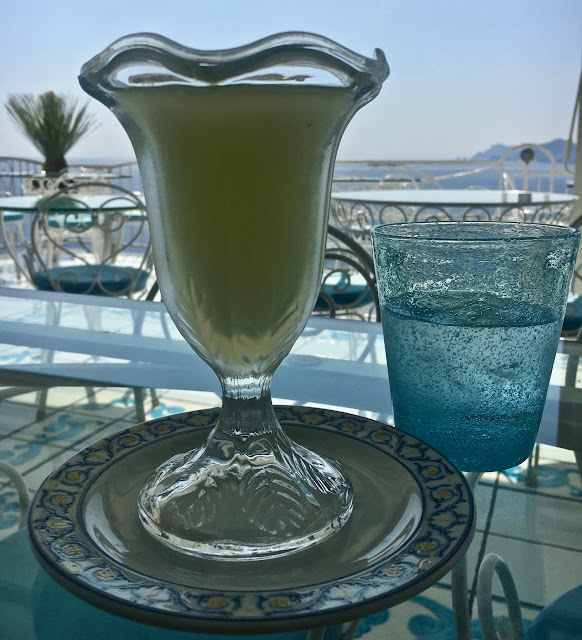 we ordered tall glasses of icy, sweet, tart, lemon granita and chatted the afternoon away. I know that cooking for every meal on vacation can get tiresome so we did venture out for a few delicious dinners. Mark and I ate here years ago on a warm March afternoon so I was eager to come back and revisit that remembered marvelous experience. We grabbed a table in the shade facing the water (Ok, they are all facing the water) and ordered jugs of white wine with peaches, fresh anchovies, fried totono, the squid fished in this part of the coast, and the ubiquitous mozzarella and tomato salad and watched the summer season stream of kids begging parents for a pre-lunch gelato and tourists booking boat trips. The service here is friendly and the pace relaxed. Tables are on one side of the road and the kitchen is on the other. There are also tables in a very pretty inside space. 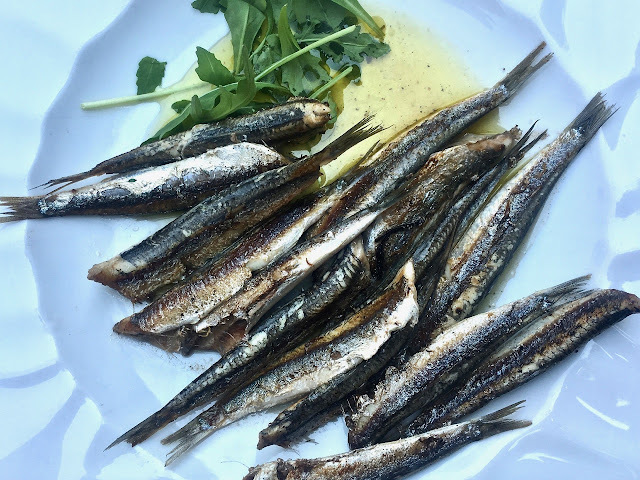 Fresh seafood and pasta dishes that feature local ingredients and traditions but with modern presentations are what is on the menu here. The wine list is a varied list of small and local producers. It is particularly pretty just before the sun sets with twinkle lights and a sea view. 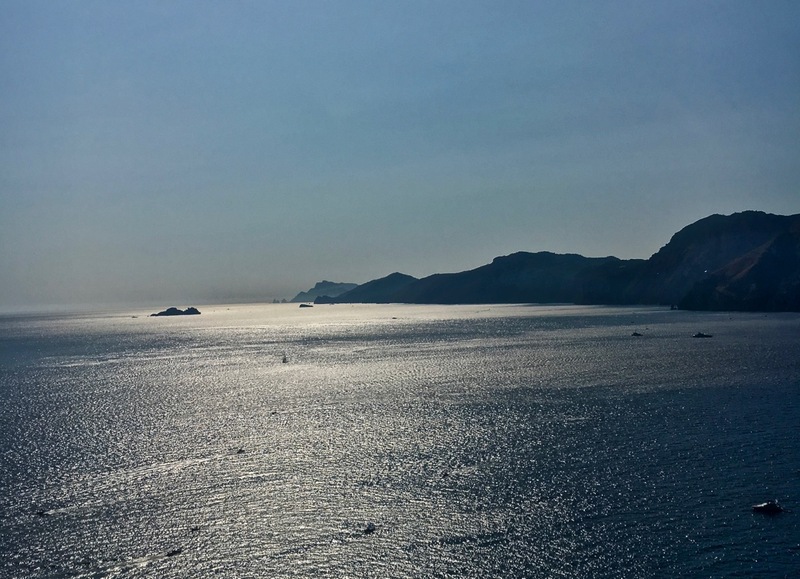 Reserve a table on the edge of vast terrace floating high above the sea and with a view towards Conca dei Marini. 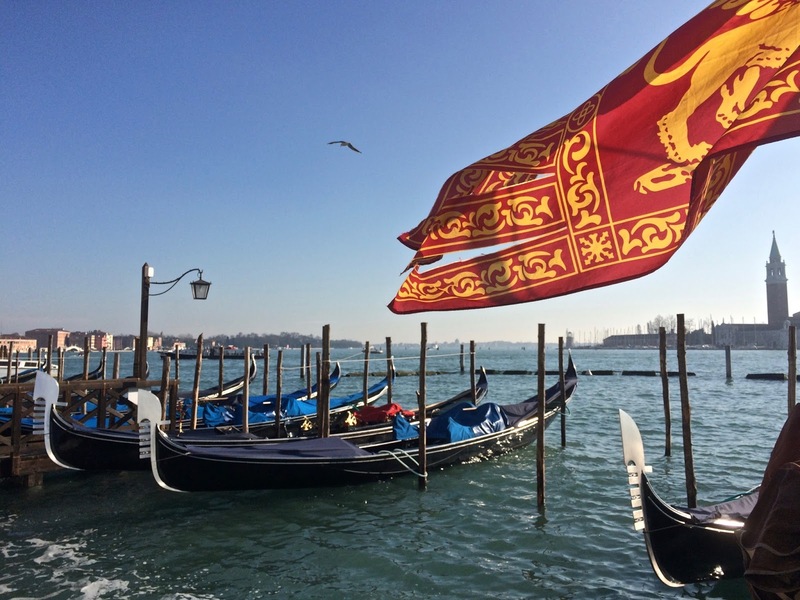 There is pizza, pasta and fresh seafood on the menu. The appetizers really shine here. The inventive Caprese salad features three different kinds of mozzarella and varieties of tomatoes and the fried zucchini flowers are just barely battered and stuffed with fresh ricotta and a salty local anchovy. In addition to a good wine list, there are a few local craft beers on offer too.